The VMB VGA Module mounts to our VMO Mainboard. 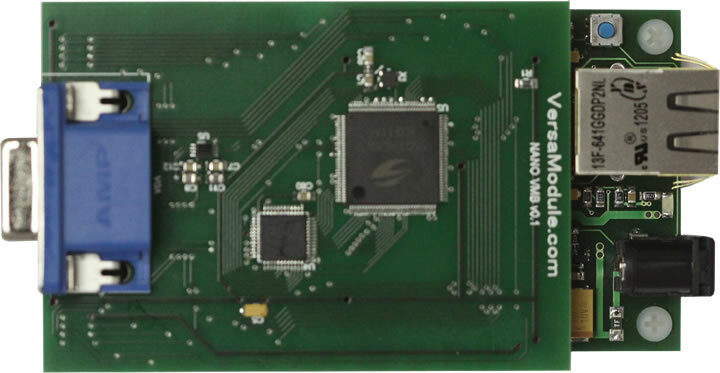 The VMB module uses the same design as our VM8 module, but plugs onto our VMO Mainboard giving you a complete VGA solution. 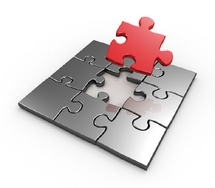 Together they can be placed into an enclosure of your choice for a complete VGA networked product. There are 3 ten pin keyed socket on the board giving you access to some of the Nano I/O's should you need to interface to sensors. Source code for demo is provided with purchase. This can be used for either large screen monitoring or remote monitoring. Assume you have a large building and need sensor information from one end of the building and display information to the workers at the other end. There is no need to run hundreds of feet of cables and risk noise on the line corrupting the data by high power machines. Place a VMO Mainboard at the sensor end and a VMO Mainboard/VMB combo at the other end. Plug them onto the network and you can send the information you need to the monitor quickly. One can even take this a step further by adding multiple end nodes comprised of VMO Mainboard/VMB combo throughout the areas when you need information displayed on large monitors. One main VMO node can communicate to hundreds of end nodes. Since it is networked you can stretch this across the world. If you have a VMO Main node in China and you want to see line production statistics in Chicago simply use your existing computer monitor with a A/B switch or purchase another monitor and connect it to the VMO Mainboard/VMB combo. Information from the China production line is sent via WAN to your desk. Use the onboard 10pin sockets and connect a keyboard to either end and now you can communicate securely using an encrypted SSL connection. 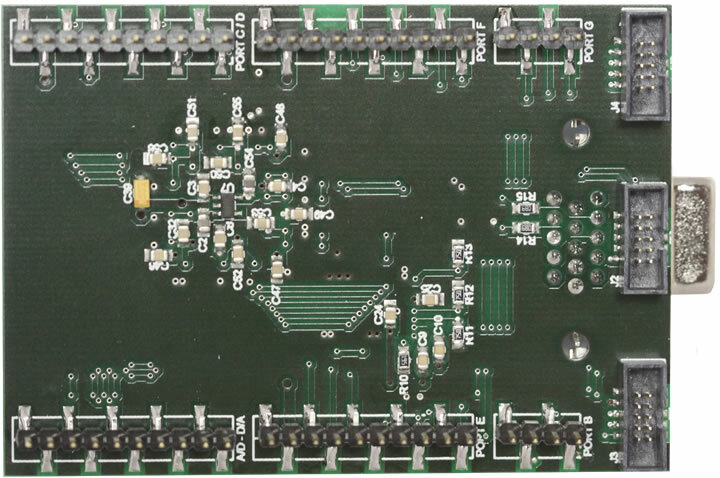 NOTE: Soon we will be releasing the VMVGA unit which is a complete VGA solution that has the Nano54415 module, VGA circuitry, onboard power supply, piezo, relay outputs and Opto inputs on one circuit board. The VMVGA unit will be a lower cost solution than using the VMO Mainboard/VMB combination. 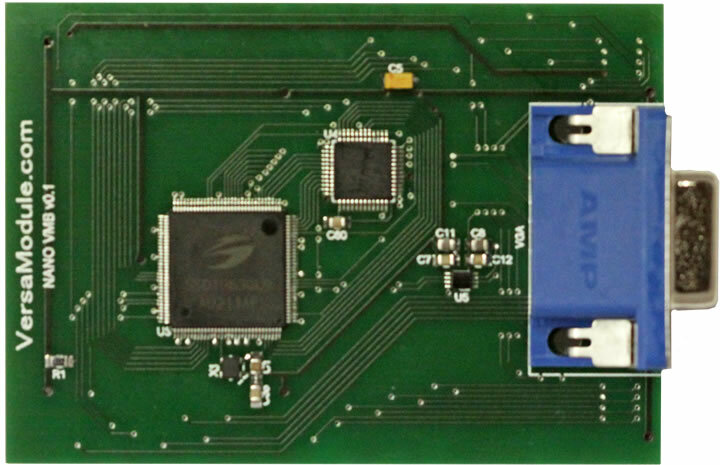 Until then, the VMO Mainboard/VMB combo allows you to achieve your goal. Full Schematic available for purchase, contact us for more information.